Independent curator, writer and critique. Graduated in Theater Theory at Uni-Rio, Rio de Janeiro (1998). 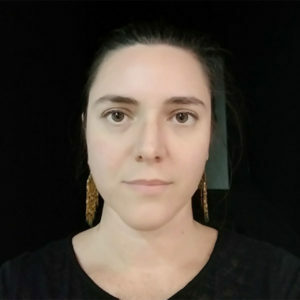 She did a MA in Arts at UNICAMP, São Paulo (2005), and a PhD in Art History and Critique at the Universidade Federal do Rio de Janeiro – UFRJ (2014). Her thesis was on the international legitimization of brazilian art from 1940-2010, focusing on the international narratives of contemporary brazilian visual arts and the stereotypes created over it – abroad and inside Brazil. This research was awarded 2015 by the Gilberto Velho Prize for the best PhD Thesis in Arts and Humanities at the UFRJ. She was a Postdoc grantee for the project “After the Future: Ruins and Reinventions of Modernity (2014-2016)”. She works on projects with an emphasis on brazilian visual arts, the global art system, art and society as well as performance art. Art critique at the newspaper O Globo (2014-2016). She lives and works in Berlin and Rio de Janeiro.